We are fully into testing the new Moto X, with hopes of having a review up within a week or so, but before we get there, we wanted to do one last comparison that has become standard around these parts. 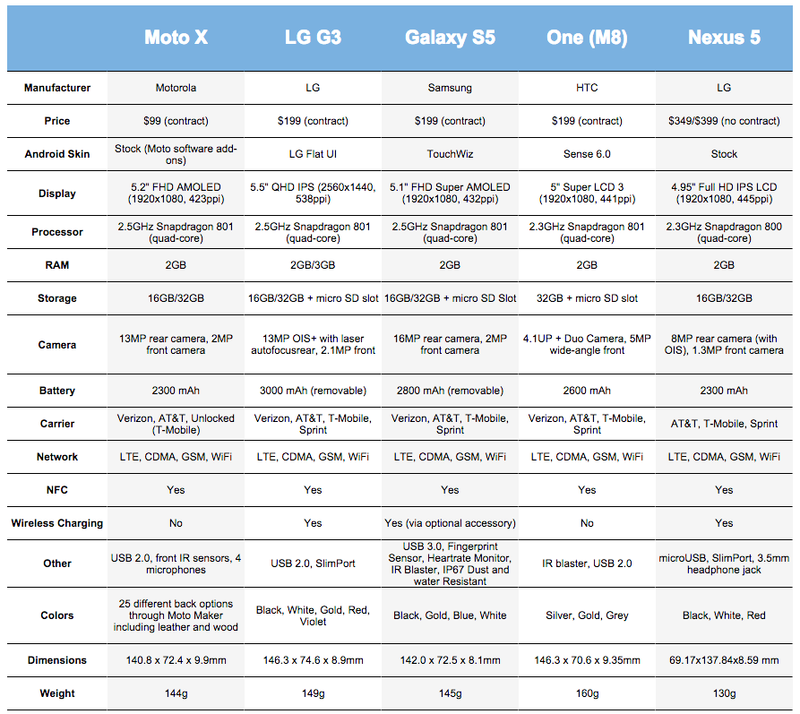 Since the new Moto is a flagship that matches up quite nicely to the other flagships introduced this year from Samsung, LG, and HTC, we put together our standard comparison chart that matches each device up, spec-by-spec, to give you a general feel for their under-the-hood capabilities. 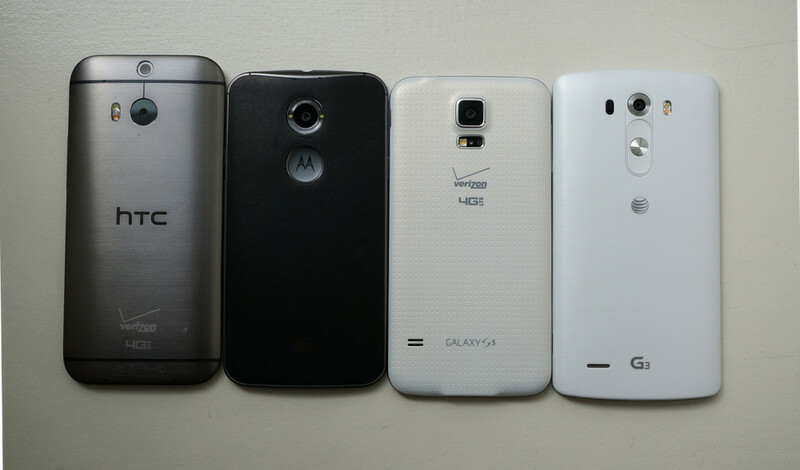 This is by no means the full story of the Moto X or its competitors (Galaxy S5, G3, One (M8), and even the Nexus 5), but this certainly shows the industry standard for the first half of 2014. Everyone has a Snapdragon 801 on board and at least 2GB of RAM. From there, the cameras are all over the board, as are the Android skins (or lack thereof). The display types and sizes vary as well. Each device is similar, yet extremely different at the same time, which is 100% a good thing. Here is the full comparison.